JERUSALEM (JTA) — The deadly shooting at a Conservative synagogue in Pittsburgh has underlined tensions in Israel over the haredi Orthodox rabbinic establishment’s disenfranchisement of the Diaspora’s non-Orthodox Jewish streams. 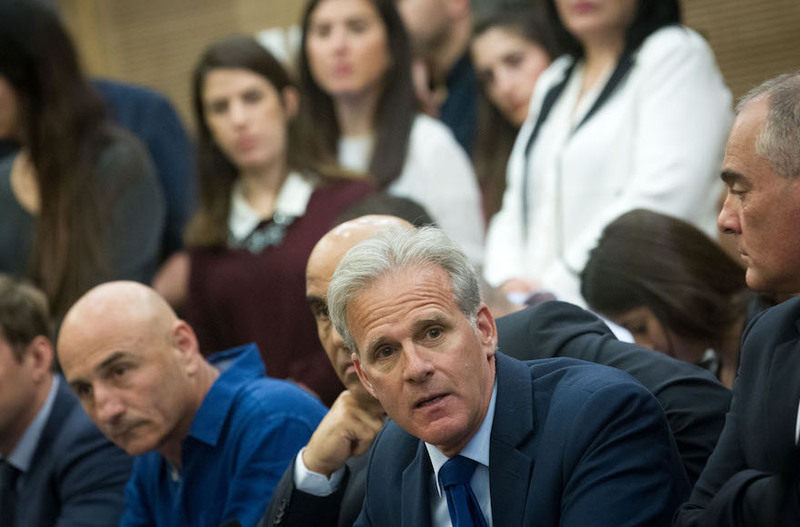 Following Saturday’s rampage by a gunman that left 11 worshippers dead, an Israeli government minister and the country’s opposition leader both called on Israel to recognize the liberal streams of Judaism. Others criticized the haredi Orthodox media in Israel for not calling the Tree of Life Congregation, the site of the attack, a synagogue in their news reports, instead using the term “Jewish center.” Sephardic Chief Rabbi Yitzhak Yosef, in a heartfelt statement about the attack, also referred only to “the murder of innocent Jews in Pittsburgh, Pennsylvania,” without saying where it took place. Prime Minister Benjamin Netanyahu in a tweet Monday appeared to join in the criticism of such omissions. “Jews were killed in a synagogue. They were killed because they are Jews. The location was chosen because it is a synagogue. We must never forget that. We are one,” he tweeted. He was referring to the fact that Education Minister Naftali Bennett, who also serves as Diaspora minister, flew to Pittsburgh in order to visit the synagogue, meet with the local Jewish community and participate in the funerals of the victims. Israel’s haredi Orthodox Chief Rabbinate is largely in control of religious affairs in Israel, and does not recognize the Conservative and Reform movements as legitimate Jewish streams. They do regard their followers as Jews if they otherwise are Jewish under halachah, or Jewish law. The non-Orthodox movements have long objected to their disenfranchisement in Israel, and have called on the Israeli government to recognize their movement and its rabbis for issues like marriage, burial and conversion to Judaism. Israel’s Ashkenazi Chief Rabbi David Lau was pulled into the debate Sunday by an interviewer for the Modern Orthodox Makor Rishon newspaper. The interviewer asked Lau about the haredi media’s refusal to name non-Orthodox synagogues, and Lau seemed at pains to distance himself from their policy. Lau replied that he doesn’t speak for the media, and that he often disagrees with what they do and write. “I repeat and say: We are speaking about Jews and we need not take advantage to raise our painful differences,” the rabbi said. “I have an ideological dispute with them about Judaism, about the past and the future of the Jewish people throughout the generations. Yosef, Lau’s Sephardi counterpart, did not refer to the synagogue in his statement. Yosef also called for prayers for their well being. In an interview in The Washington Post, Rabbi Rick Jacobs, president of the Union of Reform Judaism, was critical of Jews who would not refer to Tree of Life as a synagogue. The issue of Jewish religious pluralism in Israel has driven a wedge between Israel and the Diaspora. Earlier this month, those strains were a theme of the General Assembly, a meeting in Tel Aviv of leaders of North American Jewish federations. Among the recent flash points: Last year, in addition to scrapping a compromise that would have expanded non-Orthodox prayer at the Western Wall, the government moved to give the Chief Rabbinate more power over Jewish conversion. This year, Israeli police detained a Conservative rabbi for the crime of performing a non-Orthodox wedding. Opposition leader Avi Gabbay, in an interview with Ynet, this week also called on the government “to embrace the Reform and Conservative movements and to pass the Western Wall plan” for an egalitarian prayer space. Lapid also referred to Bennett’s condolence visit to Pittsburgh.